I entered the advanced engineering industry at 18 as an apprentice, completing 8 years with one of the UK’s largest car manufacturers. This allowed me to explore lots of different avenues and discover my true passion, which is the manufacture and installation of industrial plant services. I changed industry to pursue this and to be involved in developing the best systems, product, services and teams that can deliver clean air work environments. 2 – What’s the best piece of advice you have ever been given? Being in a highly driven industry, there is often pressure to have all the answers – you may find yourself pushed for an answer instead of waiting for the right one. The best advice I ever received was to not be afraid of saying ‘I don’t know, but I will find out’. Remember, you don’t have to be the expert in everything, as long as you know where to find the answer. My appointment to this role; it’s hugely challenging in a fast paced, everchanging environment and the results are so rewarding. Being able to bring high impact contributions to the table and seeing the success of the team and the global business group is what gets me up every morning. 4 – If you were prime minister, what would be the first thing you would change or improve for manufacturers? That’s easy…I would try and change the perception of the manufacturing industry. I was lucky as I had first-hand experience of manufacturing environments through work experience placements via my Dad, but most people my age still don’t understand the breadth of opportunities offered by a career in manufacturing. Young people and their parents and teachers also need to be armed with more information, so they can make the right choices when choosing GCSEs. The skills shortage will not improve if perception isn’t changed and there’s a role for the mainstream media to get fully involved. 5 – What is your morning routine once you arrive at the factory/office, does this depend on the day of the week it is? Monday morning is the only time set in stone to be in the office. It’s the one opportunity a week the team manages to all be in one place at the same time. We review all ongoing projects, all upcoming work, any issues, workloads and the support required. Other than that, I try not to plan my week too rigidly, as my calendar can change on a daily basis. I would like to be remembered for being a trailblazing female in engineering and for this to become the norm so that people no longer talk about ‘females in engineering’ just ‘people in engineering’. Even at some of the larger corporations, females are still woefully under-represented in the workforce. 7 – What’s one thing that you have implemented in your business that would you recommend other manufacturers embrace and implement? I am still very new to Multi-Fan Systems, but I am an advocate of implementing the very highest standards of health and safety – both for customers and for our own employees. I would also encourage other manufacturers to be open to change and to employ a diverse talent pool. Fresh ideas and new ways of thinking are what drive businesses forward and this attitude is one of the reasons I was attracted to my current role. 8 – How do you think the manufacturing community can collectively continue to engage and interest young people career in manufacturing careers? The barrier to entry into the manufacturing field needs to be highlighted at a much younger age. Once GCSE and A-level choices have been made, it is almost impossible to enter the sector without relevant qualifications. 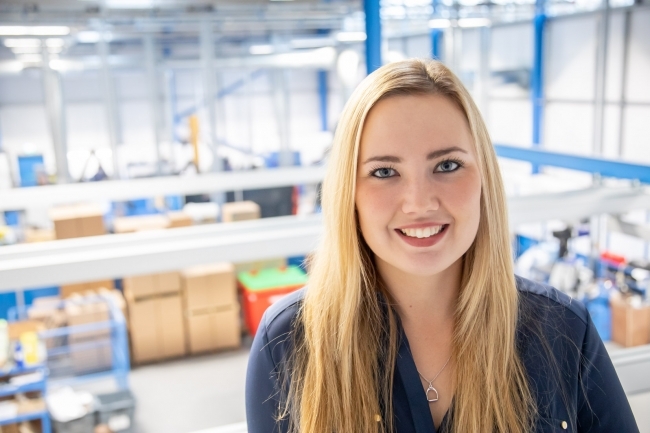 It is also crucial to persist in removing the misconceptions around what the manufacturing sector is like – often young people think of manufacturing as old and dirty factories full of men. The reality is that facilities today are more likely to be state-of-the-art, clean, bright and with an increasingly good balance of men and women. Our challenge is to find alternative ways of getting this message out to future engineers – at the moment industry just talks to itself! As a collective, we need to actively encourage and support apprenticeships within our businesses, as the balance of tailored qualifications and industrial experience gained through this path is invaluable. Once young people are time-served you have a ready-made product, already embedded into your culture. There’s something for everyone in manufacturing and what you come into the industry to do will not be the same role in three or even ten years’ time. The beauty of being in such a diverse sector is that you can spend decades trying new things – it’s exciting, it’s dynamic and it’s a fantastic place to work. You can’t help but feel the buzz and want to be better and make a difference. It’s the career of a lifetime; if you work hard the rewards are immeasurable. 10 – What one thing would you change to make your business more efficient and productive if money was no object? Unfortunately, you can’t buy time. With the skills shortage in industry at the moment, it is essential to our sustained growth and success to invest in young people and develop their skill set to meet our needs. Although we have a good apprenticeship programme and internal development scheme, we need time to ensure we successfully establish their core skills and foundations to become highly skilled systems engineers.